Mothering with Creativity: Homeschool Questions: How Do You Make Sure To Teach Everything They Need to Know? Homeschool Questions: How Do You Make Sure To Teach Everything They Need to Know? 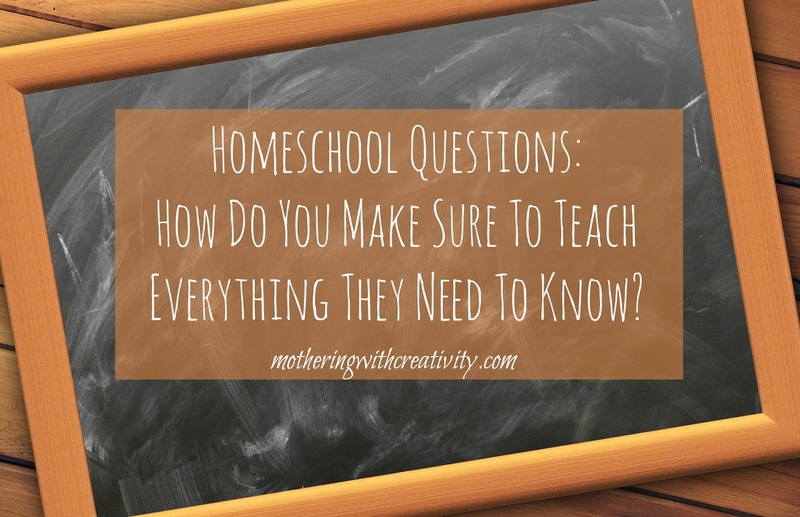 I've been taking the past couple weeks to answer some of the more common homeschool questions that I receive. 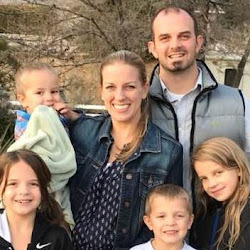 My hope is that these posts will find their way into the homes of mommas who may be considering homeschooling, new to homeschooling, or struggling with homeschooling in some way. I hope you find encouragement and peace as you read about some of our approaches, thoughts, and methods for homeschooling. Today's question is one that I personally struggled with for a few years. It's the question of, "how will you make sure that you teach them everything they need to know?" OR, an extension of that question being, "what if you 'miss' certain things in their education?" You know what? It's a really good and hard question. It honestly took me until last year to feel at ease with this question, and with my answer. My answer in short? I will absolutely, unequivocally miss certain things. And I'm okay with that. Now hear me out. I'm not saying that I am being flippant in how or what I teach to my children. I'm not saying that I'm not going to try my best to ensure that they learn all they need to know in life. What I AM SAYING is that things will be missed or excluded. Not necessarily by choice, but because you know-it happens. Life happens. They can't possibly know EVERYTHING anyway. 1) I went to public school all my life. I graduated with an honors diploma. I worked hard, got pretty much straight A's, and hated missing school for any reason. And yet, as an adult, I knew absolutely nothing about American or World History, American Government, or Geography. I'm certain these subjects were taught at various times in my school career, but I'm also certain that I just studied to pass the tests and then put it out of my mind because they were subjects I wasn't presently interested in learning. Twelve years of public school, and I couldn't tell you anything beyond "In 1492, Columbus sailed the ocean blue." Nothing. Nada. Zilch. Guess which subjects are my first-born's favorites? Yup. You guessed it. All of those. And guess who now finds it fascinating? ME!!! So guess who is learning it now with her? ME!!! These were "missed" topics/subjects for me in public school, but because I know how to use the internet and library to do research, when the time came that I had a need and interest to learn it, I did (and still am). We learn it together, which has been really fun for both of us (she loves that I don't 'know it all'). 2) Homeschoolers have the advantage of having continuity of education. I never have to wonder if her last years' teacher taught multiplication with this method or that one. I never have to wonder which topics she's covered, which ones interest her most, or which ones she really could do without for now. I know every book she's read, video she's watched, topic she's inquired about, and more. We can pick up where we left off, and don't have to worry about spending weeks reviewing the basics since I know right where she sits. I know which subjects are difficult for her and need more work. I get more inside knowledge than a teacher (even the best of teachers) could ever have with her because I'm her mom. One of my main goals in homeschooling is to teach my children HOW to learn. If I can equip them to be able to take their curiosity and questions and turn them into research and answers, they will be set. If there are certain subjects or topics that we "miss" while they are young (whether by mistake or because of lack of interest), if and when they have the interest or need for that information, they should be able to know how to find it on their own. And with that, I am completely satisfied.